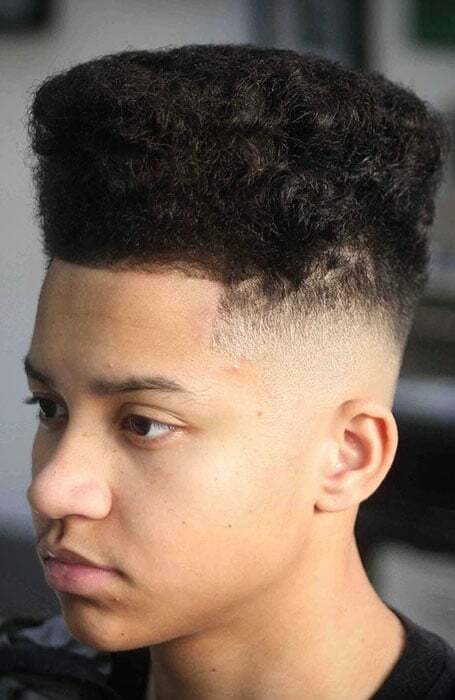 If you are into faded hairstyles, you would love this stylish variation of the original fade haircut; the drop fade is the new way to go if you’re looking for a way to up the ante on your signature look. This precision taper cut allows you to wear any style of your choosing while adding alluring detail and brand-new textures to your hair. The drop fade will lift your style game without appearing overly edgy. To see how you can spruce up your hair game, we’ve rounded up the coolest drop fade haircuts out there. 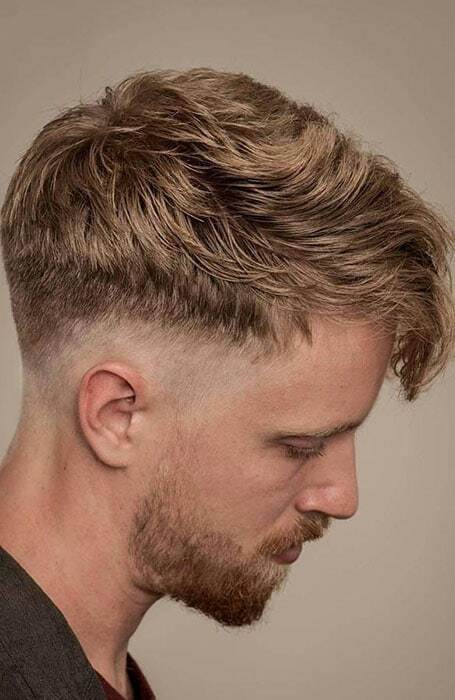 1 What is a Drop Fade Haircut? 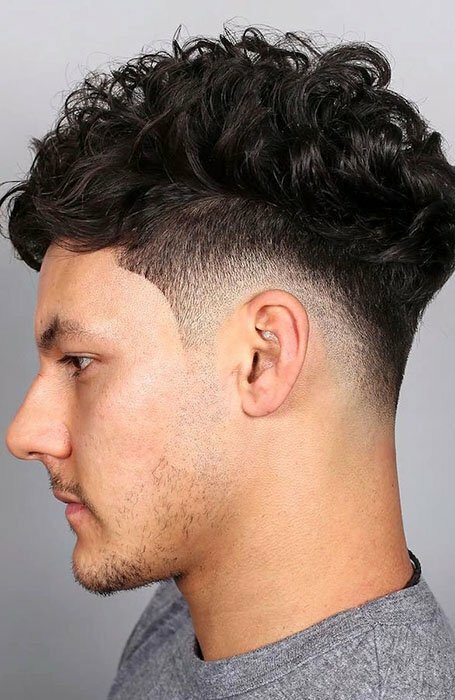 What is a Drop Fade Haircut? 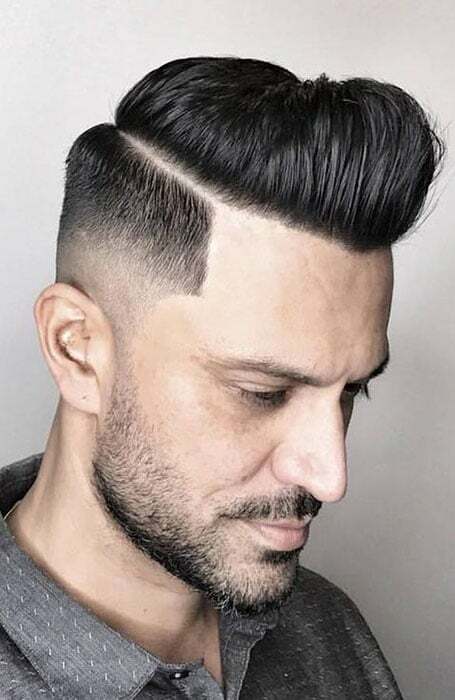 The drop fade is a variation of the fade haircut. As opposed to the straight-lined fade that most people are familiar with, the drop fade descends behind the ear creating a nice arc shape. The drop fade typically looks better when it is medium to low fade as it tends to look strange otherwise. 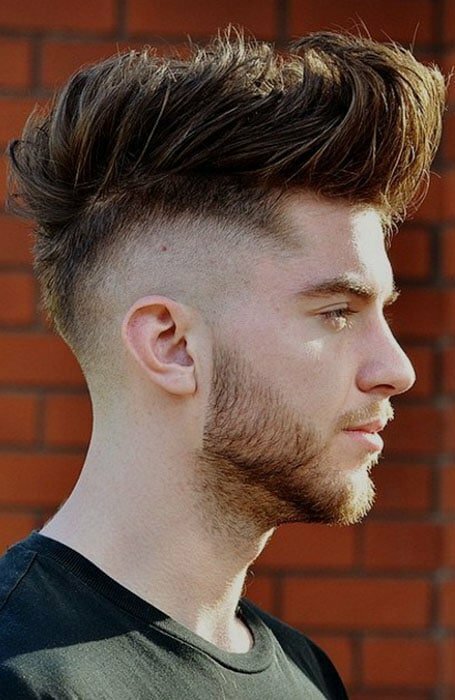 The stark contrast in length between the sides and the top of the hair defines the drop fade and disconnected undercut. While the hair on the crown is kept significantly longer, the sides are only a few millimetres long, thus creating a clean line between the two layers. When styling your hair, blow dry it over to showcase the haircut in all its glory. If you’re more into styles that add some height and volume to your look, try the pompadour drop fade. This polished look channels the best part of the ultra cool vintage hairstyles that were popular around the Elvis era, while also maintaining a modern flair thanks to the refined low fade. The pompadour drop fade is a fashionable all-rounder that will make you look good on any occasion, whether in casual-wear or business attire. A drop fade is a great way to tame and define your natural spirals without disrupting the original integrity of your hair. You can either let them go wild by simply letting them air dry or refine your look with a bit of light styling product. Just spread a little paste on your fingertips and tuck the strands into its place where required. By carefully combing your hair after washing it, your curls will fall into place naturally as they dry. The slick back is a classy look for a busy nine-to-five or dressy social occasions. The addition of a faded cut, like the drop fade, will instantly boost the style factor of this look while simultaneously add a more relaxed flair to it. 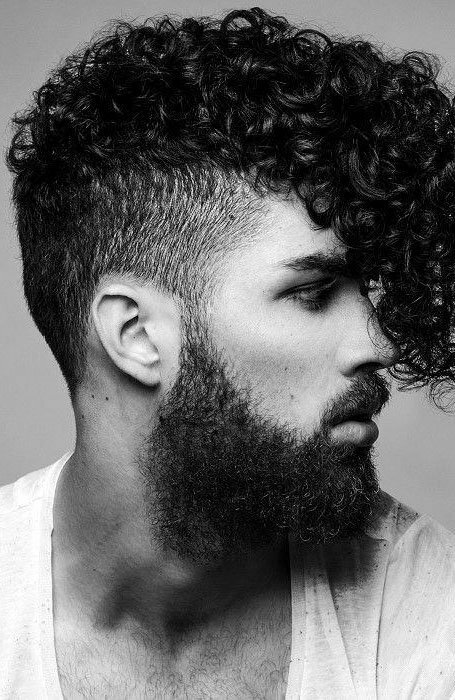 Facial hair enthusiasts can take this look a little further by incorporating the fade into their beard. Simply continue dropping the fade further down into your sideburns and let it graduate into the length of your bread. As if a faux hawk wasn’t stylish enough on its own, a drop fade will take this hairstyle favourite to the next level. 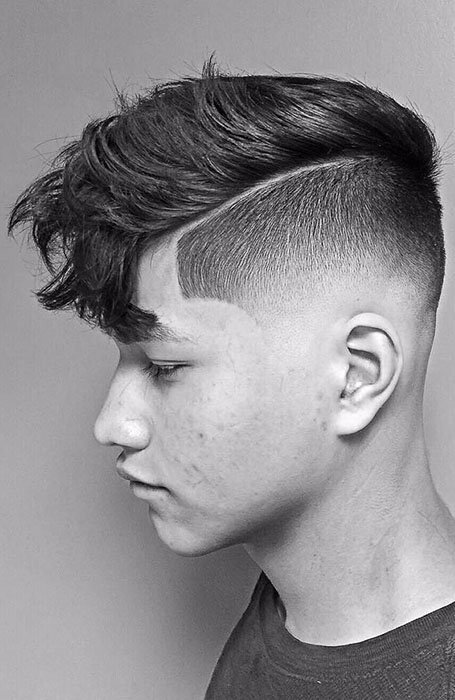 While you can opt for a low drop fade for this haircut, a medium to high drop fade will have an even greater effect on this style. Let your hairdresser gradually fade your sides, thus creating a more dramatic contrast to the long, high top. Finally, create your faux hawk by drying your hair overhead and tucking in place with styling paste and hairspray. The French Crop drop fade haircut will significantly shorten your morning routine. 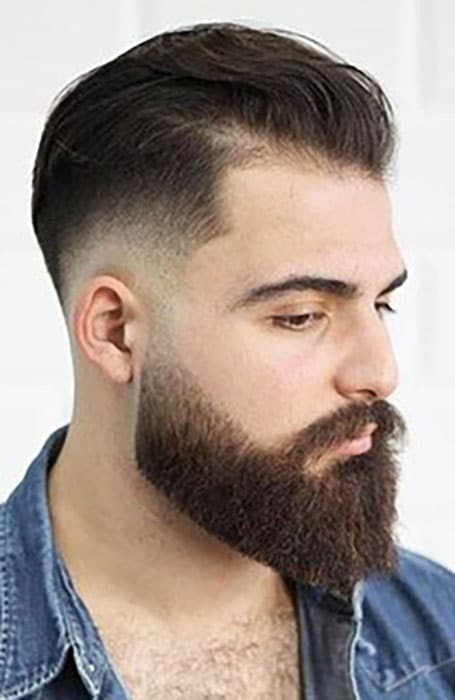 This refined look goes well with both, a low or medium drop fade, while seamlessly graduating into length from the back of your head to the front. While the back hair is usually no longer than an inch, it can be up to twice that long in the front. The blunt fringe is kept short, ending well above the eyebrows. A comb is all that’s needed to brush your hair in place when wet. Afro hair and drop fade haircuts are a match made in heaven. The precision of this fade relives some of your hair’s density while maintaining its original glory on your crown. Combine the drop fade with your unrefined tight curls for a natural look or try twists for more defined spirals on top. 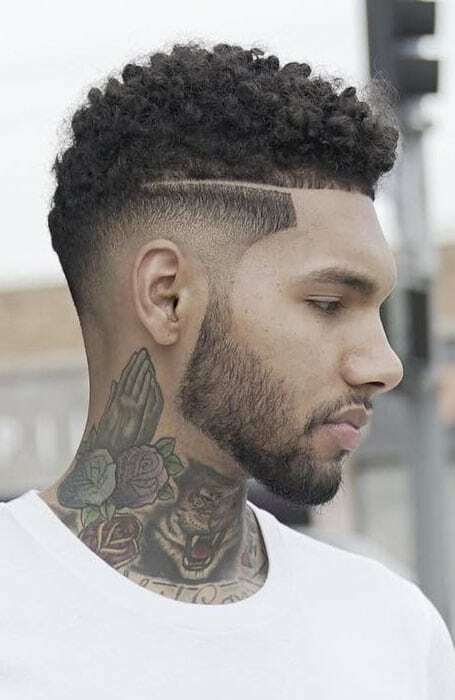 One of the freshest styles of the season is the ‘gentlemen’s mohawk (also called South of France Haircut), which has been endorsed by male celebrities like ‘King of Cool’ Usher. For an edgier drop fade style, ask your barber to add additional layers to the top of your hair. If your chop is naturally straight, this will increase your hair’s volume visually while also creating some interesting textures. While this haircut is not super high-maintenance, it does require you to get accustomed to a bit of a daily styling routine. Just rub a little hairstyling product between your hands and start pulling your strands into place. Flatten your sides with your palms for a groomed appearance while using your fingers to create the desired volume on top. Try something different by putting your fringe in the spotlight. 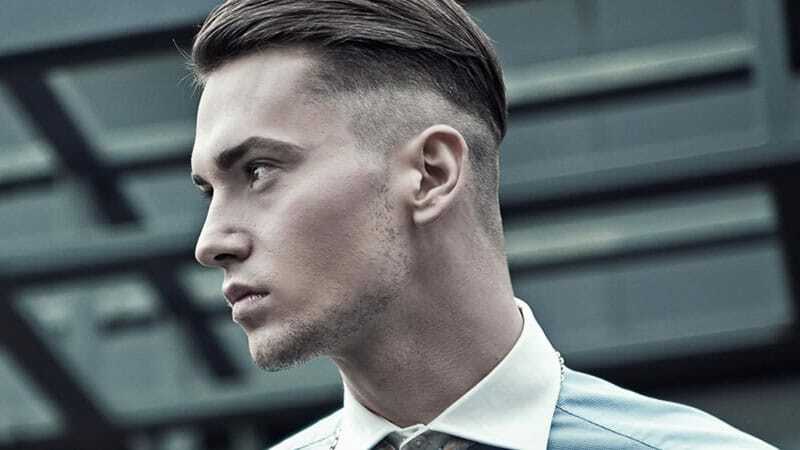 For this look, opt for a low drop fade around your ear as your hair gradually gets longer on top. On your crown, your hair will be the shortest in the back and the longest in the front. You can then have your fringe hanging loosely over your brows or comb it back to create a little (or a lot of) height. This relaxed style is the perfect accessory for a chilled off-duty look. The ‘90s revival is real with this shaped-up drop fade style. 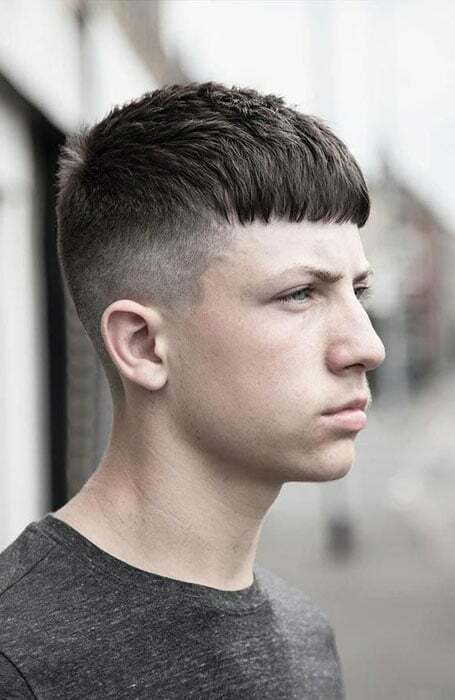 With the addition of the arched fade, this flat-top haircut gets a contemporary makeover. Depending on your hair’s texture, either buzz your natural curls into shape or lightly brush them out to create a taller shape-up. This will result in a fuller, more dense appearance. And after all, height is key for this look.